As the FA cup has shown us this weekend, you should never expect anything from sport unless you put the work in and believe in your own ability. Both Lincoln City and Millwall showed belief and hard work can pay off resulting in both teams beating premiership opposition by 1 goal to nil. Even if its only for a week. give this a go and just believe in your own ability and see how much of a difference it makes. 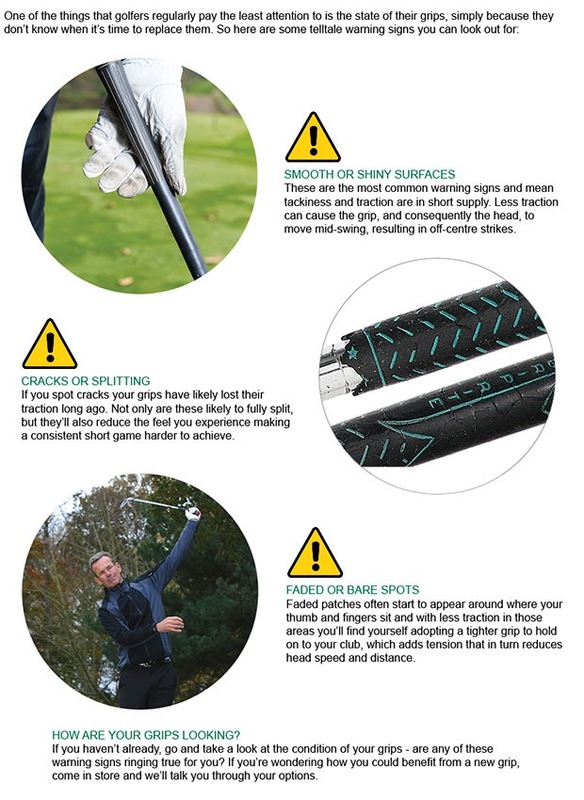 It is that time of the year for a little MOT on your clubs, and to help, I am offering to re grip your 7 iron for FREE. Pop into the shop and Mike or I will advise you on the correct grip and size that would benefit you the most. 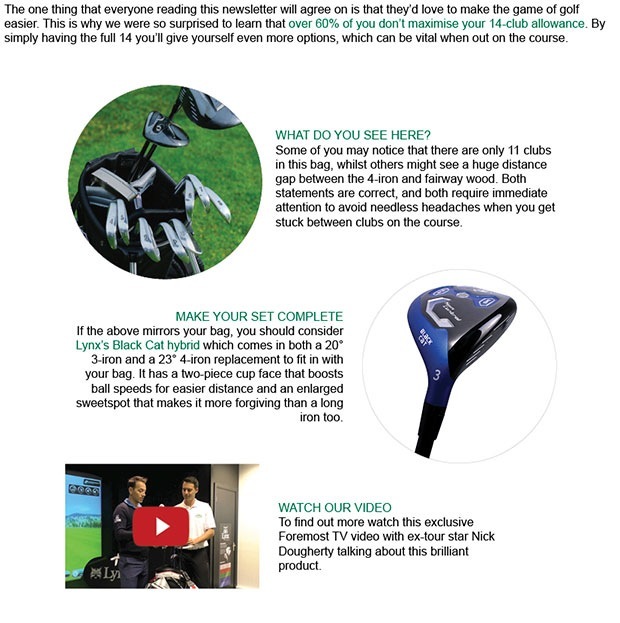 You will certainly see a difference if you haven't re gripped your clubs for a while. FootJoy, the number 1 Shoe & Glove in Golf, has launched its new Spring/Summer 2017 Performance Golf Apparel range, combining four new colour stories, an improved Essentials line and the all-new MT Lite Trouser to Make Every Day Playable. Four new colour stories, blending warm and muted tones with cool and daring shades, will present the golfer with a wealth of style options, while the ever-evolving Essentials line delivers a number of additional options which are complementary to each collection. 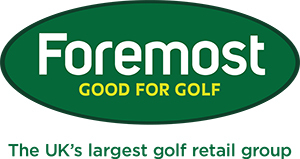 The introduction of the Performance MT Lite Trouser is a particularly exciting addition to the most advanced range in FJ’s history, ensuring golfers are more than catered for with a total provision of four trouser styles for Spring/Summer 2017.Geared to allow the wearer to stay cool and dry in wet and humid conditions, as can often occur in the UK summertime, FootJoy’s new Performance MT Lite Trouser is made from lightweight stretch nylon fabric, offering comfort and breathability. One-way moisture transfer fabric wicks perspiration away from the skin keeping you comfortable throughout the round. An anti-microbial finish helps prevent odour build-up while a built-in SPF 50 UV offers protection on the course, too. 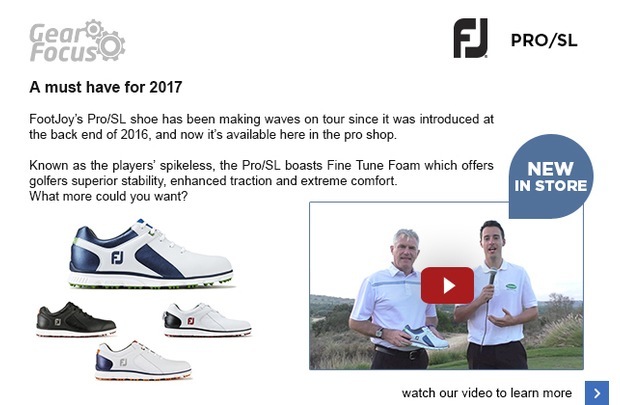 FootJoys Development into the Dryjoy casual range has resulted in the production of the NEW PRO/SL shoe. These features ensure lightweight cushioning and stability. The Sigma G putter family sets new performance standards in feel, stability and touch. An innovative multi-piece insert combines highly responsive Pebax® elastomer and a milled aluminium face to provide full-face forgiveness. A softer feel and consistent ball speeds help you hole more putts and reduce three-putts. We hope you have been enjoying the coaching articles being produced this year, and we are now looking to tailor the articles specifically to our club community. To be able to do this we would like to ask you to email Mike with any game related questions, which will give Mike weekly content answering the most commonly asked questions. Finishing up this week we wanted to remind everyone of a very important event taking place on Sunday 26 February , The EFL cup final being played by Saints !!! and Manchester United. Having been named all saints day by Stuart next week, we know who he wants to win. but there is certainly no love lost in the pro shop. Who will be marching into work Monday morning? The match will be screened in the bar at 4:30pm and with a £2 charity donation the dress code is being relaxed to allow fans to show their support in their team colours.